Make a great impression on the scholarship committee. A good interview is vital to your scholarship application. It's an opportunity to supplement your credentials with the kind of impression that can't be put on paper. But for most, interviews are a major source of stress. Keep the anxiety level under control by thinking ahead and following these tips from a scholarship expert. To keep yourself relaxed, think of your interview as a conversation rather than a test. The interviewers are there to learn more about you. View the interview as an opportunity to discuss your goals, plans and concerns with experienced professionals. Your background: your educational history, your employment experiences, family background and upbringing. Your academic achievements: class-ranking, grade point average, awards you have won or projects you have undertaken (science fairs, debate competitions, etc.). Your future plans: academic plans, career plans. Your hobbies and interests: extracurricular activities, skills, jobs, etc. Your financial profile and needs: income, savings, parent's resources, level of financial need, anticipated expenses, etc. Information about your financial resources is especially important if the scholarship is need-based. Your personal "value structure": the things you think are important in your life. 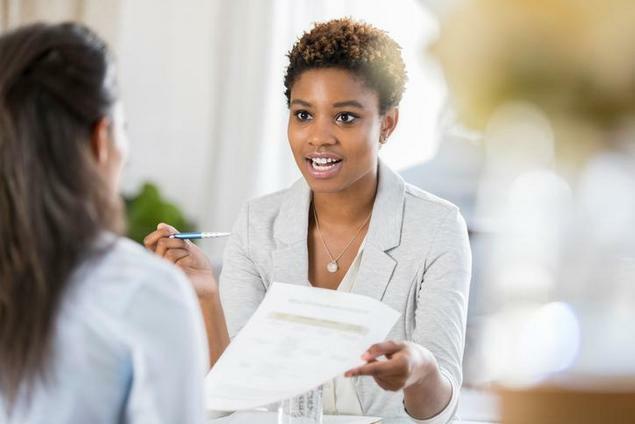 Information about your personal value structure helps the interviewers determine whether you would serve as an appropriate representative for their organization. Be punctual. Check the interview time and location before leaving home. Dress appropriately. Select conservative, semi-formal wear: slacks and a jacket or a dress shirt for men; dresses, skirts or pantsuits for women. Never wear jeans or t-shirts to an interview. Make a good first impression. When you meet the interviewers, introduce yourself, make eye contact and use a firm handshake. Be brief and honest with your answers. Try to sum up your thoughts quickly. Interviewers will ask follow-up questions if they want to know more. Have some questions ready for the interviewers. Prepare these questions in advance by researching the sponsoring organization, school or company. Be prepared to reiterate the basic information you supplied on your application. Review your application before the interview to jog your memory. Don't be negative. Interviewers value the individual who perceives difficult situations as challenging and interesting. Don't be afraid to say "I don't know" or ask questions. It's better to ask for clarification than to miss an opportunity to produce an insightful answer. Don't chew gum, bite nails, smoke, yawn, stretch or slouch. Show your appreciation. Thank the interviewers for their time at the end of the interview. Afterwards, send a thank-you note. Use these tips to prepare, and you may find the interview isn't so scary after all.